Container box style - Adjust .thz-team-members-holder box style. Holder box style - Adjust .thz-grid-item-in box style. Layout mode - Select members layout mode. Grid settings - Adjust grid settings. If the .thz-grid-item-in width is less than desired min width, the columns number drops down by one in order to honor the min width setting. This adjustment is active only if image container height is anything else but metro. On the other hand if the window width is below 980px and grid has more than 2 columns, only 2 columns are shown. Under 767px 1 column is shown. Select Image - Select or upload an image. Name - Name of the team member. Job Title - Job title of the team member. 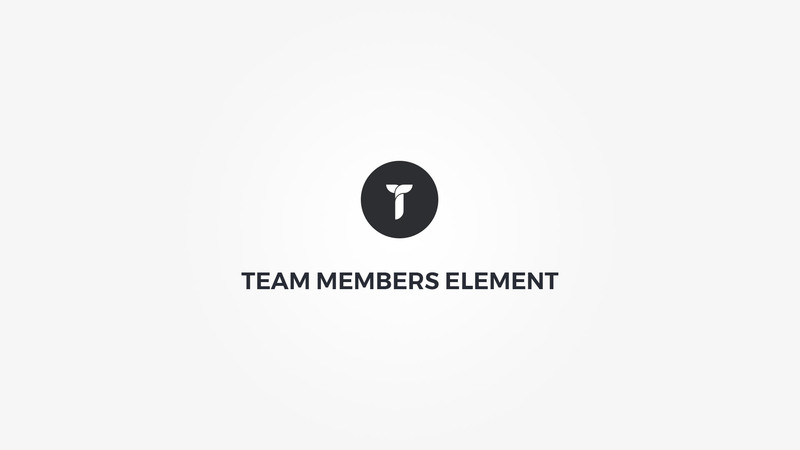 Description - Enter a few words that describe the team member. Social media links - Add member social media link. Drag and drop to reorder. Display mode - Select members display mode. Overlay background - Set overlay background. Overlay effect - Select overlay hover effect and duration. Image effect - Select image hover effect and duration. Overlay element effect - Select overlay element hover effect and duration. Overlay distance - Distance the overlay from image box edges. Image box style - Adjust .thz-team-member-media box style. Known issue: If layout mode is slider and you add box-shadow to container, the box shadow is cut off due to sliders overflow hidden. One way to fix this is to add margin in the size of box shadow to the image container. Image grayscale - Add graysale effect to member image. Image size - Select the member image size. Image container height - Set image container height. Info box style - Adjust .thz-team-member-info box style. Name box style - Adjust .thz-team-member-name box style. Job box style - Adjust .thz-team-member-job box style. Description box style - Adjust .thz-team-member-description box style. Socials box style - Adjust .thz-team-member-socials box style. Name font - Adjust member name font. Job font - Adjust member job font. Description font - Adjust member description font. Social links alignment - Adjust social links metrics. Animate members - Add animation to the member HTML container.